The costly cocktail will set you back $25 and is made with Casamigos Reposado Tequila, Carpano Antica vermouth, Crème de banana liqueur, vanilla bean simple syrup, honeyed apricot and smoked hickory. It’ll be served through fall at The Bassment, located in the Windy City’s River North neighborhood. The mix makes for “a sweet yet boldly flavored concoction that would do George proud,” according to The Bassment. 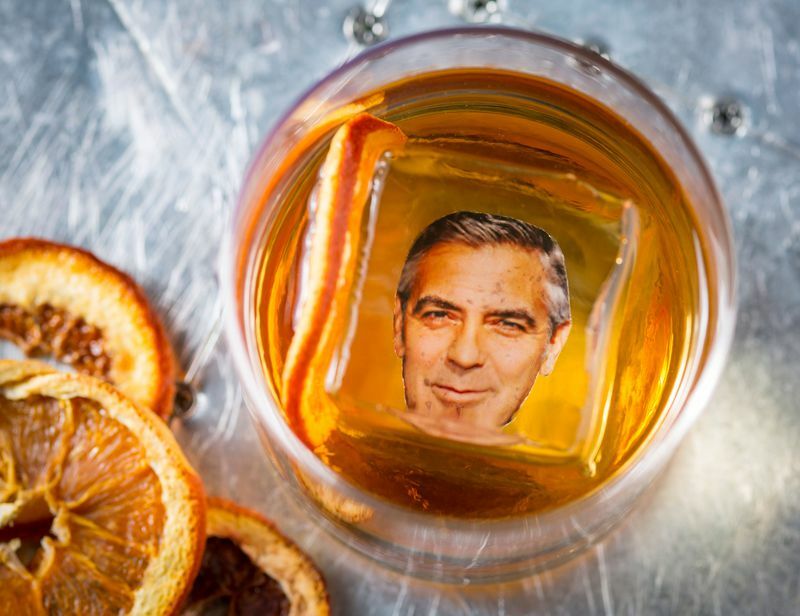 Clooney’s handsome face is printed on paper and then frozen into the ice cube. If Katie's bosses are looking for her- tell them she's at the bar staring at her ice cubes!!!!! PigPen wrote: If Katie's bosses are looking for her- tell them she's at the bar staring at her ice cubes!!!! !